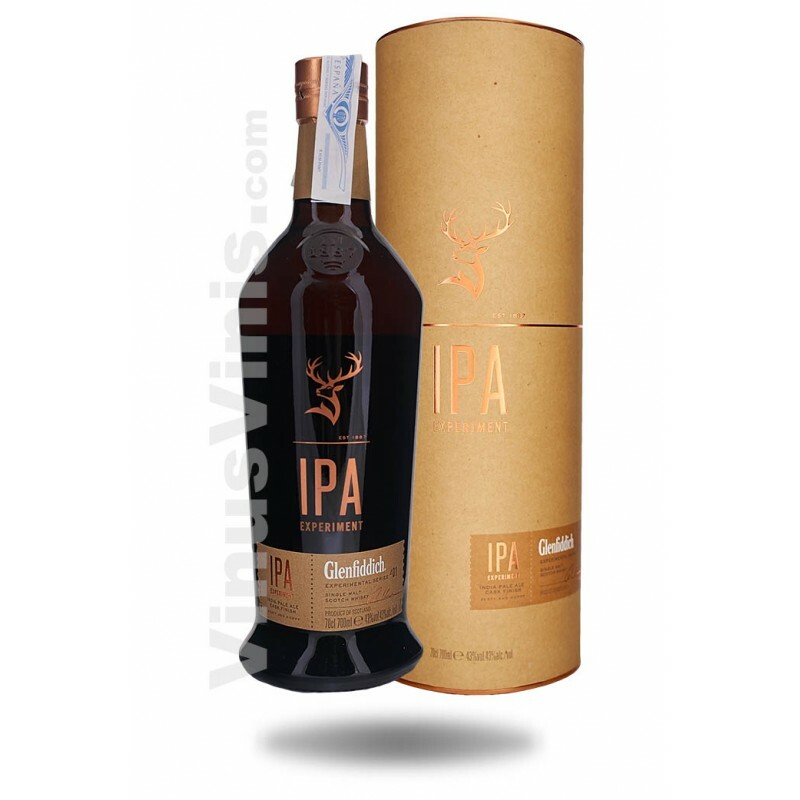 When Brian Kinsman, their Malt Master, met an entrepreneurial Speyside craft brewer, they hit it off immediately and it didn't take long for a genius idea to form, experimental and untraditional, Brian suggested creating a Glenfiddich whisky finished in IPA craft beer casks, something never done in the industry before. What started as a quirky idea had turned into an intensive experiment. Not only did they crreate a pioneering new whisky, with unique zesty citrus notes and the subtle hint of fresh hops, but they also created a pioneering new craft beer in the process too. This malt is proof that great things happen when great minds meet. Vibrant with a zesty critrus note followed by soft, sweet vanilla and a hint of fresh hope. Experiment over ice with a twist of blood orange.